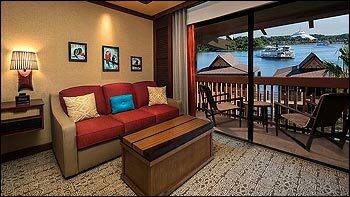 Disney's Polynesian Villas and Bungalows opened in summer 2015 attached to Disney's Polynesian Village Resort. 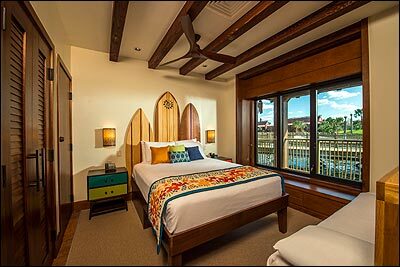 This new Disney Vacation Club addition transformed three former Polynesian Resort longhouses (Tokelau, Moorea, and Pago Pago) into buildings housing Deluxe Studio Villas. 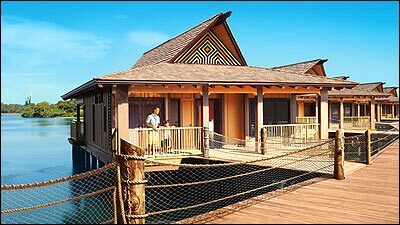 20 over-the-water bungalows were also added. 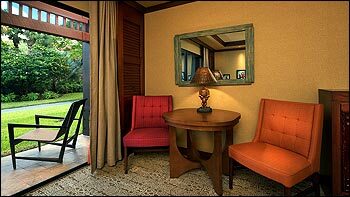 These luxurious bungalows sleep up to 8 guests and have magnificent, unobstructed views of the Magic Kingdom. 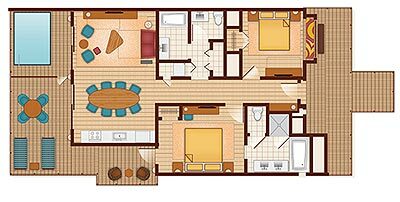 Deluxe Studio Villas here are quite a bit larger than other DVC studios. In fact, they are the largest studios to date, at nearly 465 square feet each. 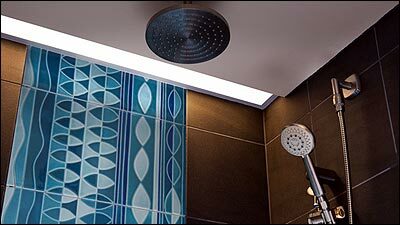 In addition, they feature a unique split bathroom setup. 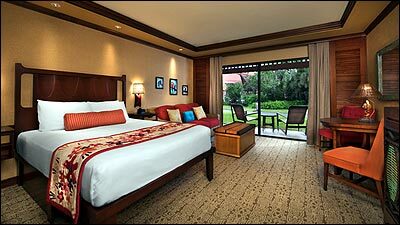 Guests staying at the Polynesian Villas are, essentially, guests of Disney's Polynesian Village Resort. 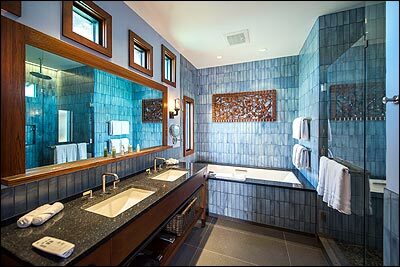 The Villas themselves do not have any exclusive amenities. Guests will check in at the Great Ceremonial House. There is no Community Hall at this location. 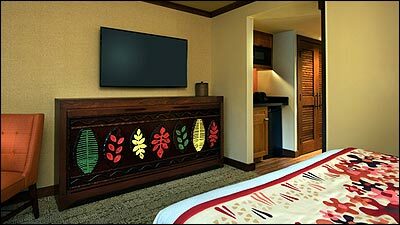 For dining, shopping and recreation information, please visit the Polynesian Village Resort page! 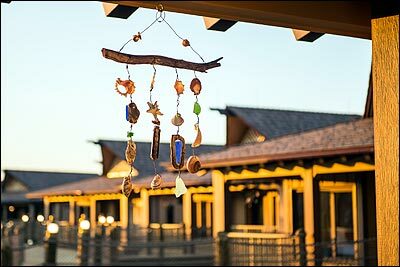 Guests at the Villas will use the transportation available at the Polynesian Village Resort. 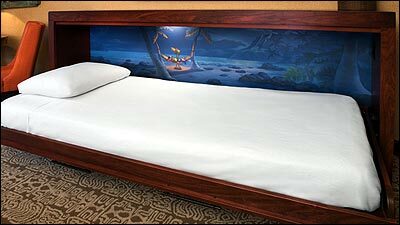 Following in the footsteps of its parent resort, the Polynesian Villas continue the South Seas theme with furniture and decorative touches that evoke the spirit of the islands. 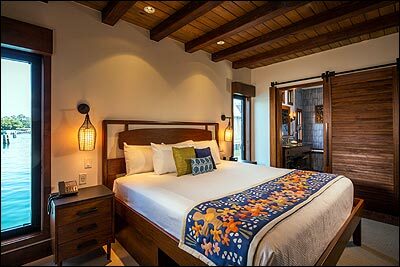 Dark woods, bright colors, tiki statues, and floral prints provide a soothing, tropical environment. Studios can have Standard or Lake Views. Lake Views may or may not have a view of the Magic Kingdom. Standard Views will look out over gardens. 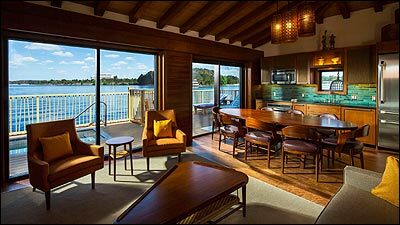 All Bungalows have an unobstructed Magic Kingdom view over the lake. 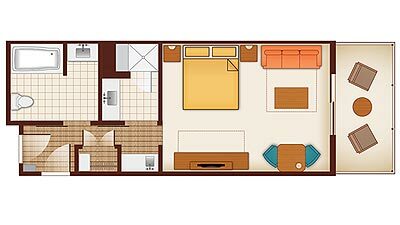 Studios feature one queen bed and a queen sized sleeper sofa, plus a fold down bed under the television. 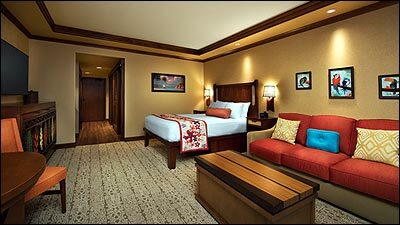 Studios can accommodate up to 5 guests plus one child under 3. 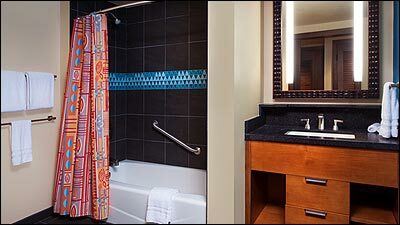 Studios feature a split bath design. 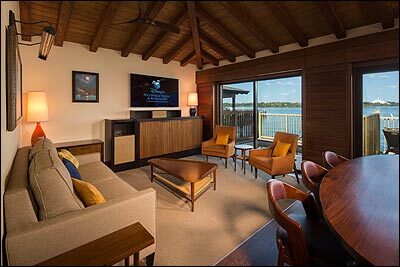 The Bungalows at the Polynesian Villas are the most unique Disney Vacation Club accommodations to date. Sitting directly over the water, similar to resorts found in the South Pacific, these bungalows are definitely a way to spoil your family on vacation. 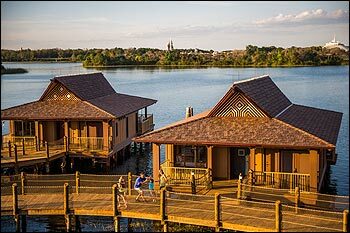 Bungalows are located along a boardwalk that has controlled access (only guests of the bungalows may enter). 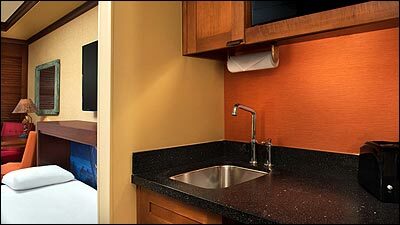 Each stand alone unit has two bedrooms, a living room, full kitchen, washer and dryer, and a private deck with plunge pool. 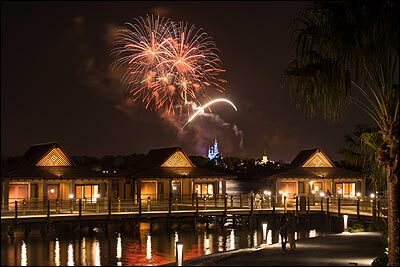 The bungalows have unobstructed views of the Magic Kingdom so they are the perfect spot to watch the fireworks from at night. 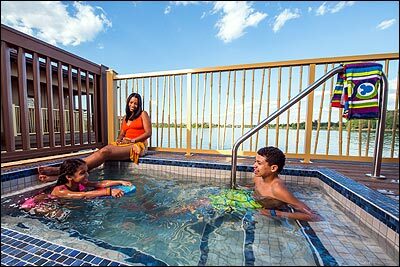 During the day, guests can sit on their deck and enjoy the breeze from the Seven Seas Lagoon. The 20 bungalows are approximately 1,650 square feet. They sleep 8.